The bar and dining room of Cry Baby Pasta at Third and Bainbridge Streets. Queen Village, now in the throes of a restaurant boom, will see the opening of Cry Baby Pasta on Friday, Jan. 18 at Third and Bainbridge Streets. It marks a return to the Philadelphia restaurant scene for Bridget Foy and husband Paul Rodriguez. Not that they left by choice. The nearby restaurant founded by her parents — Bridget Foy’s, at Second and South Streets — burned down in October 2017. Paul Rodriguez and wife Bridget Foy at Cry Baby Pasta. While waiting for Bridget Foy’s to be rebuilt and open later this year, the couple worked last summer in Upstate New York and traveled to Italy with another couple, chefs David Gilberg and Carla Goncalves, who ran Koo Zee Doo, a Northern Liberties BYOB. From that experience, the couples came up with the idea for Cry Baby, whose Italian menu includes house-made pastas, sides, starters, bruschettas, and large plates. The location, which housed the landmark Judy’s Cafe for three decades, was last Ansill and then Ela. 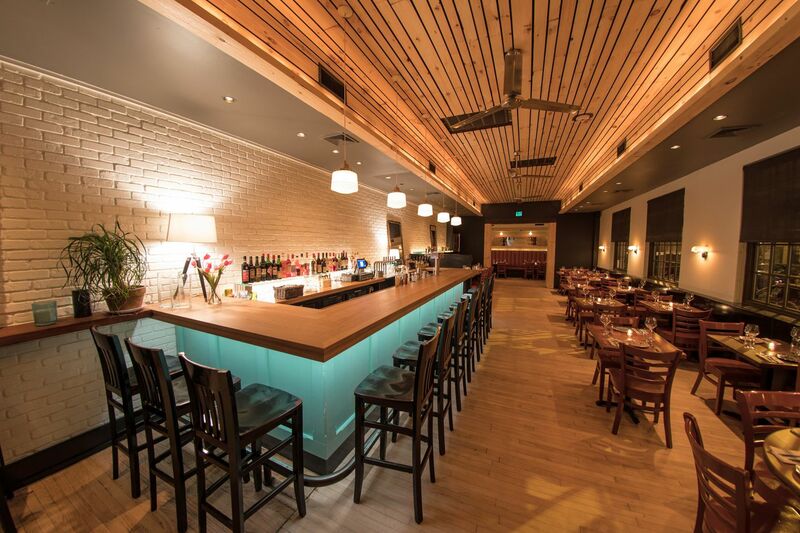 Cry Baby Pasta’s 55-seat dining room has a 12-seat oak bar and five-seat drink rail. There’s a full line of spirits, six craft beers by the draft, four wines on tap (about $8 a throw), 35 wines by the bottle, and an Italian-inspired cocktail menu (about $10 each). The interior of Cry Baby Pasta at Third and Bainbridge Streets. It will be open daily. Bar starts at 4 p.m. and dining room opening at 5. Kitchen will stay open till 10 p.m. Sunday to Thursday, till midnight Friday and Saturday. Lunch and brunch are on the way. Foy was a tot when her parents, John and Bernadette, named the old East Philly Cafe after her. She literally grew up in the business and the neighborhood, which, she says, qualifies her to run a “local” restaurant. Down the road are GiGi’s and a second restaurant from the owners of Southwark (at Fifth and Bainbridge Streets) and Bloomsday Cafe (414 S. Second St. across from Head House Square). Banquette seating is toward the rear of Cry Baby Pasta at Third and Bainbridge Streets.